A city of art, it opens towards the sea in the form of an amphitheatre and is delimited by Vesuvius, the coastal mountains, the islands of Capri, Ischia and Procida and the Cape of Miseno. 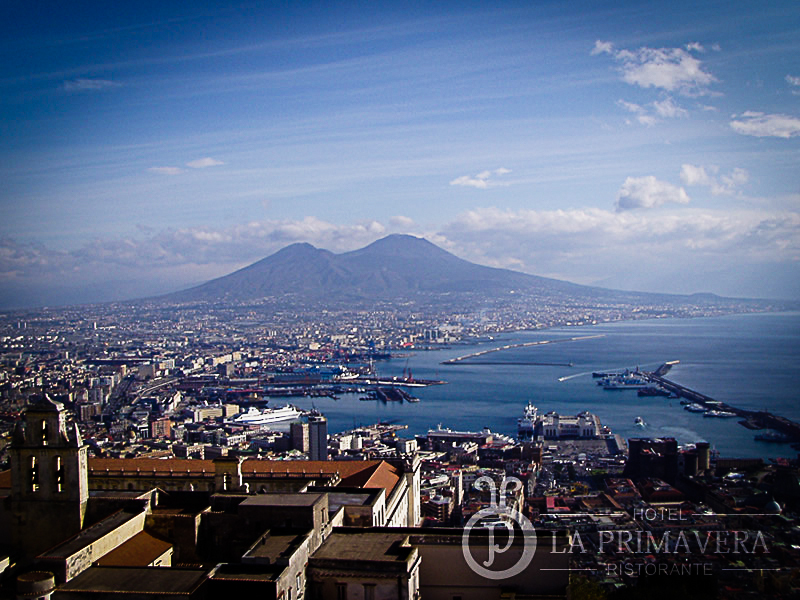 Located in the centre of the Mediterranean, the capital of the Region of Campania has a well-documented history. The first colonisation of the area dates back to the ninth century BC, almost 3,000 years ago, when Anatolian and Achaean merchants and travellers approached the gulf en route towards the mineral deposits of the upper Tyrrhenian and founded Parthenope, in the area that included the little island of Megaride (present-day Castel dell’Ovo) and the promontory of Mount Echia (the present-day Monte di Dio and Pizzofalcone). Parthenope was later abandoned following events of war and acquired the name Palepolis (old city). Neapolis (new city) was founded in 475 AD in the western part of the original city by the inhabitants of Cuma. Neapolis was built according to a plan called “Ippomadeo” or “per strigas”, a network of streets placed at right angles which can still be seen in the present-day city.